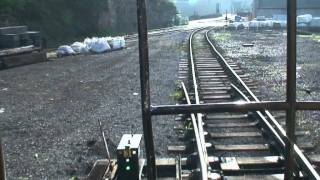 Zonegreen are by far the market leader in the provision of rail depot personnel safety, specialising in the delivery of intelligent technologies to offer protection from dangerous environments in a safe and efficient manner. An unrivalled reputation for quality, safety and reliability has been built by the Sheffield based safety specialists. 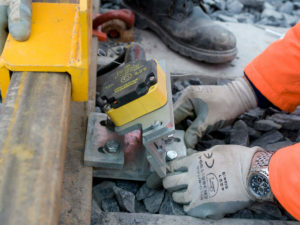 The team of expert engineers at Zonegreen have achieved this reputation by developing an impressive range of intelligent technologies to offer safety related products and innovative planning of train maintenance operations. Continued research and development projects have ensured that Zonegreen longevity and reputation as a global leader in depot safety systems. Whilst the companies enduring success is predominantly credited to its Depot Personnel Protection System (DPPSTM), the firm has also brought a successful range of complimentary products to market, including interlocking solutions, Points Converters, railway maintenance planning applications and out-of-gauge warning systems. These systems are installed worldwide and can be used in sectors as diverse as transport, petrochemicals and aerospace. Additionally, Zonegreen depot manager software provides an overview of the status of the DPPS™ and personnel logged on. 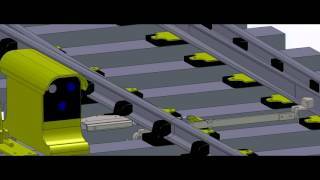 Mitigation of manual handling injuries by automating the pulling of manual points. Point Conversion Machine: a point conversion machine is attached to an existing manually-operated switch without compromising the integrity of the existing mechanism. It does not require any civil works or changes in the operating procedures to be installed. Each converter can be used as a standalone or multiple units can be installed and operated together with routing. The concept of interlocking has been applied to create increasingly sophisticated systems with the potential to prevent personal injury or costly damage. 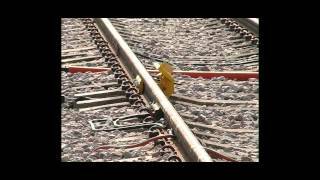 Our engineers have developed highly sophisticated safety interlocking systems in train depots that prevent unauthorised movements of trains, thus protecting injury or death to personnel and damage to other trains and equipment in the depot. Additionally, we manufacture internal interlocking systems that prevent danger when personnel try to circumvent safety measures. This, in turn, reduces the risk of damage to equipment. Zonegreen has developed a safe system of work that absolutely prevents access to high level access platforms by means of a fully guarded stairway and interlocked gate that can only be opened with a key that is released from a control panel when the OLE is locked and earthed. The sequence of unlocking and removing keys that, in turn, allow other keys to be released, ensures prohibition of access to areas unless they are safely isolated and earthed. This interlocking system is vastly superior to a ‘permit to work’ system that is only reliable provided that everyone in the loop strictly obeys the rules. 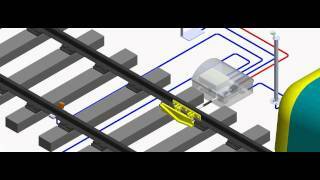 It is also possible to interlock third party equipment.